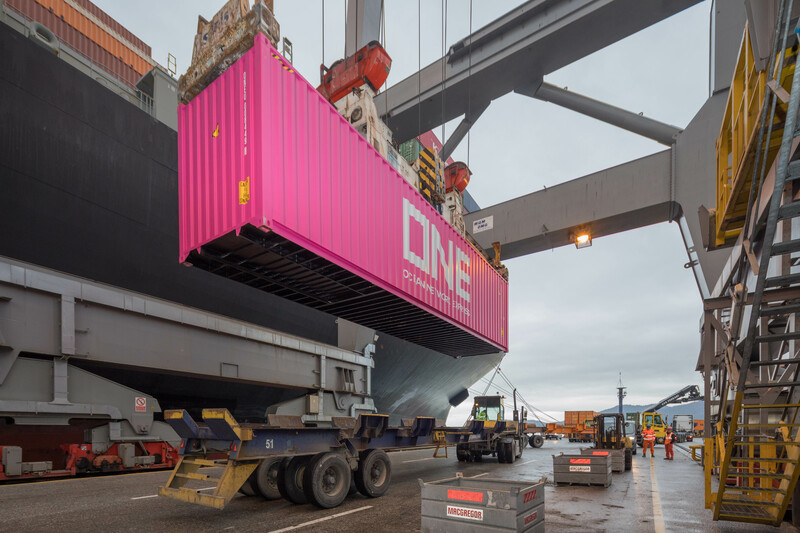 Despite the grey clouds and rain that fell over the weekend in La Spezia, the YM Warmth making only her second call brought a splash of colour to the terminal when it discharged from Asia a brand new ONE container, showing off the bright new magenta livery. 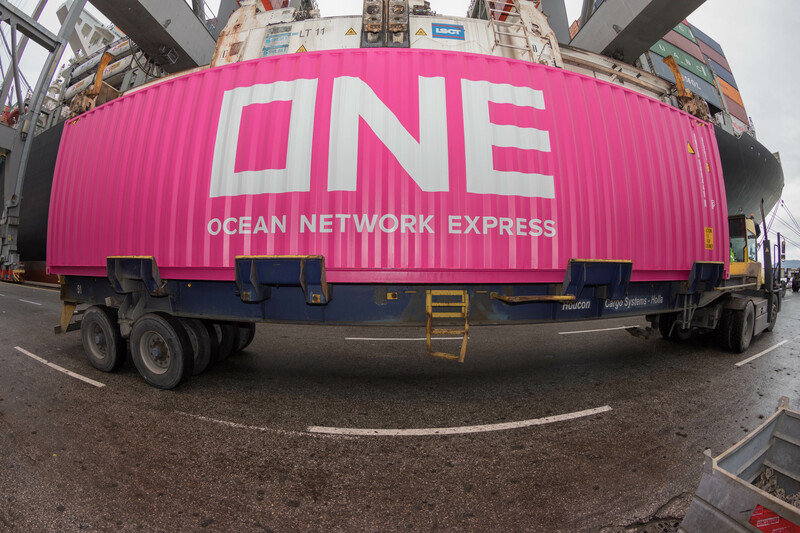 The ship is deployed in THE Alliance’s MD2 service and is one of a series of 14,000 teu ships operated by Yang Ming Line of Taiwan. 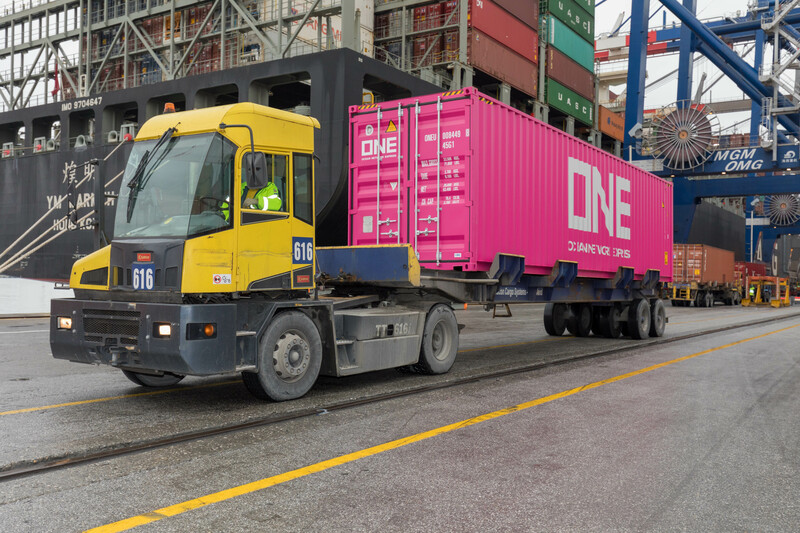 Effective from 01-April, ONE will become the new shipping line formed as a result of the merged container divisions of the big three Japanese lines, namely “K” Line, NYK and MOL. 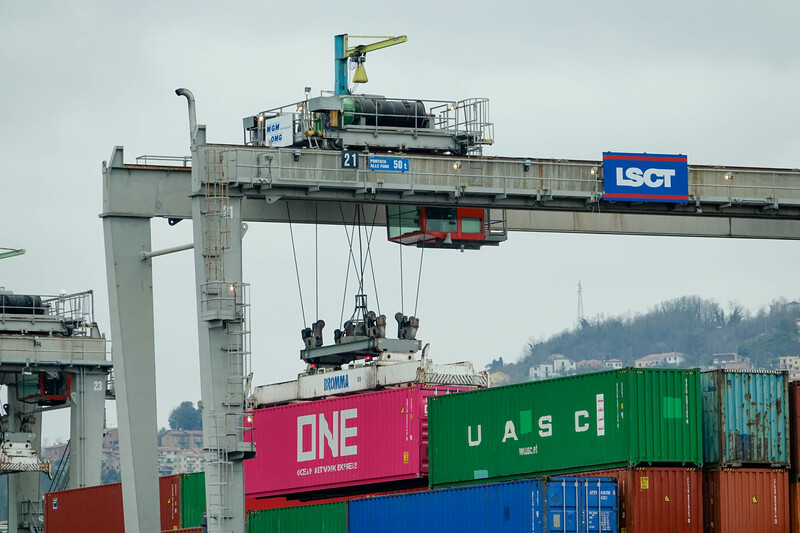 The corporate colour scheme adopted by the new company certainly brightened up the day at Contship Italia’s La Spezia Container Terminal!